Are you starting to get a bit anxious about the holidays and wondering how you’re going to fit it all in? We’ve all been there, holidays are supposed to be a joyous occasion, but sometimes we add too many activities to our schedule! Need some help organizing your events, activities, recipes, and parties? No worries! I’ve got a wonderful tool you can use to begin your holiday planning right now! Plus, don’t forget that Christmas Card and gift list! My Christmas Planner will help you get organized this holiday season, plus, give you a boost of confidence and focus in your day! As the bible says, do all things in decency and in order. Let’s get our attention on the right priorities so we have time left for the Lord and our family! And remember, Jesus IS the reason for the season. Don’t fret, worry or be anxious! Everything will work out for His glory! Here’s what you’ll get with this gorgeous 10-page Christmas organizer for the month of December– and I’m offering it to you for FREE! It’s simple yet extremely effective as it covers all your Christmas tasks, including cards and gifts! Not only will you be prepared for your special moments, but you’ll also be relaxed and worry free! Here’s how to get your FREE Christmas planner — just add your name and email below…that’s it! You’ll be able to begin downloading your planner immediately! Did you know that Barbour Publishing has two new titles Who Was Jonah? and Who Was Mary, Mother of Jesus? The kids and I were privileged to review both titles and would love to share our Kingdom Files Series Review! I had heard of the name Barbour Publishing, but didn’t know much of their history until recently and wanted to share with you my findings. The company began as “Book Bargains” in 1981 as a small remainder seller and now is considered a prominent Christian publisher. In 1984, the name was changed to Barbour Publishing, publishing its own titles including the well-loved The Pilgrim’s Progress. These books are both from Kingdom Files series by Matt Koceich. As a teacher, his ultimate goal in writing these books was to teach children more about the bible! The paperback books Who Was Jonah and Who Was Mary, Mother of Jesus? are part of a biography collection geared towards ages 8-12 and a perfect length of under 100 pages. Who Was Jonah was read by my 12-year son who is an avid reader and was able to read this book within 20 minutes. As he narrated the book to me, I was thankful he was able to glean new facts, despite reading this story from books and directly from the bible many times! The books were written at an elementary age level but my daughter in middle school also enjoyed reading one as well. She was able to learn new facts about Mary Who Was Mary, Mother of Jesus? Both books include a Fact File with key facts about the Bible character, along with an informative mini-timeline and map. Throughout the chapters are simple, yet detailed black and white drawings, capturing many poignant and triumphant moments. You’ll also find several Power-Up notes towards the end of the book entailing important information to ponder and answer. These Power Up messages include “powerful” bible verses to memorize as well. As mentioned, these books were tailored at an elementary age level, but my daughter in middle school also enjoyed reading it. She was able to learn new facts about Mary, the mother of Jesus. This si always my goal with any book, to learn at least one new fact to gather in their personal memory vault! As you come to the end, your child can write down notes on what he/she learned and in addition, get a sneak peek of another Kingdom File book! I would highly recommend these books to younger children closer to ages 8-10 and older for struggling readers. They are easy to read, contain a lot of valuable information, and keep the reader’s interest piqued. Find out more about the publisher and author by connecting socially using the links below! Are you struggling to keep your homeschool day organized? It’s a TON of work to stay on top of things as a Homeschool Mom. Yet, one secret that has kept me going is PLANNING my week ahead — it makes all the difference in the world. Each morning, I glance at my daily homeschool plan and I’m confident in moving forward with the day ahead. In order to help YOU, my homeschool mom friends, to be less stressed, I’m offering for FREE a perpetual Homeschool Planner, the PERFECT tool to keep you on track and focused! Start right now and get ahead of tomorrow! Daily Homeschool Plan – this allows you to mark month and day, along with a breakdown of time and activity for each child. It includes a handy section for a Meal Plan, goals for the day and next day prep. Week at a Glance – includes a section for subjects and activities along with a space for special notes and goals/projects. Book List – write down all of the assigned books your students will need to read. Curriculum Plan – Write down your curriculum and resources for each child and its cost. Field Trip Plan – This page a layout perfect for field trips including dates, fees and what to bring. As mentioned previously, you can use this homeschool planner for multiple students and year after year! This is the only Homeschool Planner you will need until they graduate! Click here and complete the checkout process to download your FREE Homeschool Planner today! There are some words in the English language that make me cringe. One of them is worrying! And, we all do it. We worry about what to make for dinner, we worry about a trial we’re going through, we worry about the past and how to fix it. Regardless of what’s causing the anxiety, this emotion displeases God because we are not living by faith. Whether you caused your situation or not, it doesn’t matter. God turns everything into good for His glory. Period. Or, maybe you’re thinking, I have done nothing wrong to cause my life circumstance, why is this happening to me? Many people are stressed about their many “life issues.” There are so many life factors involved, whether its relationships, children, marital, financial, job, etc etc! Yet, we have no control over any situation except for how we live today. Today is a new day, my friend. Stop living in the past, stop worrying about the future, and start living again. Start living for Him. Find out what he wants YOUR story to be. If you seriously think about it, part of a simple lifestyle is not only removing the clutter physically, but also mentally AND spiritually! Are we intentionally removing that spiritual clutter on a daily basis, helping us to draw closer to Lord? Most of my subscribers who respond to my emails are those struggling with life issues. It surprised me a bit at first. I didn’t think that my “simple” story would resonate with others. I thought they’d be asking about organizing or minimizing homeschool life. Yet, that wasn’t the case. So, I started wondering if I should take a different approach to my blog. While I have something to share regarding homeschool materials and the minimalist approach, nothing is more important than sharing God’s truth! The Bible tells us to live by faith. But honestly, how many of us do that? The trials I face have caused me to pause and think about how God is glorified when I’m doubting Him, doubting His Word? I have always struggled with worry and have found myself thinking about things I shouldn’t. So, I started meditating and memorizing God’s Word and when I caught myself doubting Him, I pulled out that verse and it worked! Below is the bible verse that helps me DAILY when I catch my thoughts lead me down the wrong path. Start taking inventory of your mind and evaluate, are my thoughts praiseworthy? If not, it’s time to purge! Are your thoughts pure and positive or worry and anxiety? Evaluate each and every thought you have for the rest of the day and ask yourself when you catch yourself drifting into your OWN thoughts…is it pure? Is it a good report or lovely? If no, STOP! Instead, think about the lovely things God has given you. Like having children, the roof over your head, the food on the table. There are so many things to start living for! You, my friend, are blessed! You are just not seeing it and I want to show you how! My challenge for you today is to get out a journal and start writing down all of the negative thoughts you have during the day. You’ll be surprised how many times you do not think on things that are lovely. So, you’re thinking — how do I overcome daily anxiety and worry? First, ask God to help you. Next, talk to God every minute you can. He is the ultimate counselor. This will allow you to transform those thoughts of worry into positive, pure thoughts. Anxiety and worry are most likely the emotions we face many times throughout the day. Emotions can be deceiving. Let’s make a commitment today. Proverbs 16:3 says, Commit thy works unto the Lord, and thy thoughts shall be established. Let’s be blessed by trusting TOTALLY on the Lord. God made us to serve Him, so let’s do it! We have two choices every day…please God or please ourselves. Which one are you going to work on today? Write in the comments below and make a commitment today on who YOU are going to serve! Remember, it’s going to hard at first to change your thinking like with any habit, but once it becomes a habit, you will be BLESSED! And, just for you, I’ve created this Freebie to encourage you to start living again. It’s time for you to stop worrying or having any doubts or fears, regardless of what’s going on in your life. Whether it’s an illness of a child, finances, or a broken marriage, God will take care of you. I urge you to download these 4 bible verses and start memorizing and meditating today, committing to learn a bible verse every two days for a week. You can’t go wrong with God’s word! Ready to be transformed by God’s word? Try it today! Click here to get your FREE bible verses for true living today! My favorite subject in school was anything related to English. I loved Grammar rules, spelling, and writing. However,when I became a homeschool mom, teaching Grammar was a lot harder than I expected. In addition, I struggled with why my kids needed to learn Grammar Rules at such a young age when they would understand it faster at the middle school level. I am excited to announce that I found the PERFECT solution for teaching Grammar to kids who didn’t get a solid foundation of Grammar Rules like mine. It’s GrammarPlanet! GrammarPlanet is designed for ages 10 and up and can be used for a wide range of students, from young to old. GrammarPlanet assumes the student has had no training in Grammar Rules so it starts from the basics and builds from there. If you are looking to boost your child’s writing skills or test scores, keep GrammarPlanet in mind. It’s a fully inclusive online Language Arts curriculum that teaches grammar, punctuation, and usage. There are currently 13 units available with new units being added weekly. We have been using GrammarPlanet for my 11 and 13 year old and love how it’s simplicity designed for kids to use, and adults as well. When you first log in, you’ll get 4 steps of instructions on how to start. Click on the orange icon on the left hand corner to download the instructions. Then, watch the video. Answer a few questions. Now, it’s time for practice and wrap up with a quiz. With GrammarPlanet, a PDF printable set of notes is also included that the student can download. Additional activities are used to reinforce the lesson being taught in the video, and will not let the student continue until the subject at hand is mastered. There are no time limits and students can replay the materials if they don’t understand it the first time. My favorite part about GrammarPlanet is getting the notifications directly into my email box on how my student is progressing, whether it’s good or bad. Plus, I get an alert when my daughter or son is completed with the quiz along with his/her scores. There is one issue we had in the beginning. We had a hard time getting into the student accounts as I didn’t realize I had to log out of my account first. Then, once I remembered the user ids and passwords I set up for students, it was a breeze from there. And, every once in awhile, we do get a blank screen after finishing certain parts of the questions or quiz. Thankfully, we just go back in and continue our progress. We haven’t lost any work yet, so we don’t consider it a huge challenge to get back into where we left off. We plan on continuing to use GrammarPlanet throughout the school year since it’s user-friendly,challenging, and allows my kids to be independent. If your looking for a great resource that’s free and challenging yet easy to use, try GrammarPlanet today! It’s that time of year again. Maybe you’re getting excited about planning a new homeschool year, but maybe not. Maybe you are concerned about whether you can afford to homeschool. Several families spend hundreds and thousands of dollars each year, depending upon how many kids are students. But, there is a way you can homeschool for FREE with one simple tip! Are you dreading the cost of curriculum? If so, I have a solution, a free solution. I have been doing this for years and it works! Being frugal is natural to me. It always drove me crazy buying something full price when it was cheaper somewhere else. And, that tradition has stayed with me even in my 40’s. If you have homeschooled for at least a year, you should be able to homeschool for free. Now, why would I say that? You would be amazed at how much value your past homeschool materials are! My #1 tip for homeschooling for free is selling your unused or unwanted homeschool curriculum and materials! Then, use that money you collect as your budget for the new school year! You would be amazed at how much you can get back. At times, I’ve received 100% back and have even made a profit from selling gently used books, CDs, and programs. Even if you haven’t homeschooled yet, join local homeschool yahoo groups and grab those free book and curriculum offers or cheap sales to resell it for next year’s budget. Inform yourself on how much curriculum is going for on ebay.com, homeschoolclassifieds.com and other used online homeschool markets. You can make a decent amount of money by selling the curriculum at a fair price. It not only helps you and your budget to homeschool for free, it also reduces the cost for other homeschool moms! It’s a win-win for both of you! Write down a list of your homeschool inventory now and see what you have in your treasure trove! Then, check out used homeschool markets to see what the typical sale price is going for. To wrap up, keep this in mind throughout the year as you finish your lessons. Make sure you take good care of your curriculum by adding them to bookshelves (instead of containers) to avoid abuse and misuse. Remove any of unused homeschool materials directly from your high traffic bookshelf site and into an unused container or drawer for safe keeping. This way, you’ll have it all together when you are ready to sell. So, what’s your first step? Go start looking now through your bookshelves and containers and take pictures. Then, upload them on eBay, craigslist.com or homeschoolclassifieds.com and you’ll be well on your way to a hefty budget for this year! What are ways you have saved money for homeschool materials? Next week, I’ll talk about the best resources online to save money and space! Are you are a Charlotte Mason or Classical Homeschooler? Or, maybe you are curious about those who homeschool using these two principles? I recently discovered my favorite magazine publisher Old Schoolhouse® Magazine just released a collection of these type of homeschool stories, including Classical. Yours truly just *may* be in this publication to share her ‘a day in the life of a Charlotte Mason homeschooler’. But, you’ll have to read it to find out! What is it that draws so many homeschoolers to Charlotte Mason and Classical homeschooling? Why do countless families decide these methods are the best and pursue learning with zeal in these ways? You’ll gain insight using 20 different articles with some of the best authors out there and read real-world stories from homeschool families from all over the country living out these methods. We use the Charlotte Mason methods for many reasons and this article shares all of the many reasons why and the best resources (free and frugal) to get them. You would be surprised how much money you can save just be using online resources for Charlotte Mason type materials. There are many talented authors such as Sonya Shafer from Simply Charlotte Mason and Karen Andreola from Charlotte Mason Research to give you just a short glimpse of what you can expect! So, don’t miss out as I’m confident you’ll love this FREE supplement. Please share with all your friends so they can enjoy it too. Here’s how you get your copy. Go to the link below, sign up, and immediately download your digital file. Enjoy and let me know what you think. GO HERE TO GET YOUR FREE DIGITAL CHARLOTTE MASON SUPPLEMENT! As a homeschool mom for many years now, I will admit my weakness is hands-on activities. My kids get LOTS of experience with life skills, but when it comes to homeschool materials, I need help! That’s why Home School in the Woods is perfect for my family and I’ll tell you why the easy hands-on activities from Homeschool in the Woods is a must for YOUR family! As HUGE advocates for American freedom and what the Revolution stood for, we decided to try the Time Travelers: American Revolution from the U.S. History series. As a DAR (Daughters of the American Revolution) Member, I am always looking for helpful material to easily teach our wonderful history. And, Home School in the Woods does not disappoint!! We have used their American Revolution Timeline as well this year and you can find my review HERE. Ok, all I can say is WOW! There is a ton of reading material, activities and writing copywork to guarantee your kids will never get bored! With Time Travelers: American Revolution, I can choose to do several activities a week, or just one. We typically are doing just one a week since it’s summertime. With Time Travelers: American Revolution, we will have a GREAT understanding of this time period thanks to Home School in the Woods! Before beginning my synopsis of the program, I’d like to mention the possibly intimating WEALTH of information. Don’t get overwhelmed, start with finding the right file to get started. When you download the files, it will be in a zipped format. If you can, save it in a folder you can remember (I would suggest creating a new folder so only those files are present). Then, right-click the folder, and click on ‘extract all files’. Select where you want them stored on your computer and then voila, there they are! Now, Make sure you go to the file that says “Start”. This is your landing page or table of contents for all materials. My “start” file had the icon of my browser Chrome since a browser is your vehicle to easily navigate through the files. Now, here’s another important tip…don’t forget to bookmark it on your toolbar!!! You want to easily head back to your files for quick access. Now that we got the intimidating part of the way, this is how we used Time Travelers: American Revolution. There is so much material you can use to fit the needs of your family. I want my kids to have a full grasp of this time period so I’m going to discuss the copywork, timelines and Mitchells Map as a demonstration of a week’s worth of hands-on activities. My 11-year old son needs work on his handwriting so I was happy to see copywork for cursive. After reading the text, we used the copywork sheets to help him with his writing. In addition, we always love timelines so my son chose the timeline and cut out the key images of heroes and places. Then, he placed them in the appropriate spot on the timeline with glue. Next, we worked on Mitchell’s map. My son colored the map with different colors to show contrast and to reinforce learning about the most comprehensive map of Eastern North America made by John Mitchell. You can also find a lapbook for the Mayflower Compact and Document Scrolls, a Jamestown Replica which we finished HERE. I highly recommend this activity if you are interested in studying about the American Revolution. Jamestown is a HUGE and SIGNIFICANT part of our American History and if you don’t know why, check out their Time Travelers: American Revolution. This is just a snippet of what Home School in the Woods has to offer! So, don’t hesitate to learn more about them. In fact, I will discuss a new product that is hot off the press further below! We are very excited to find that their latest Project Passport: Ancient Rome is now available! It has been added to the bundle for the complete Project Passport series. Here are the topics included: kings and legends of early Rome, the Roman Republic, the rise and fall of an Empire, everyday life, business, law, philosophy, education, oration, literature, science, medicine, arts, architecture, transportation, religion, warfare, emperors, the Pax Romana, invasions, the beginnings of Christianity, and much more! In short, I would highly suggest these reasonably priced products as you can use them for the entire year for your history and geography or just a summer. You can check out more of their products by going HERE. Their products are great for all ages, and you know why? If I can learn from them, my Kindergartener and up to high schooler can learn from these well done, detailed and easy to create products! Are you a newbie or established homeschool mom OVERWHELMED with the plethora of curriculum choices online and at conventions? Don’t fear or stress. Here are my best tips on how to get started with Homeschool Minimalism. Maybe you are not even looking forward to planning another school year. The monumental task of planning an entire year seems daunting. Maybe you are frustrated with not enough time to get it all done. But, there is a solution to this problem and its called homeschool minimalism. Ten years ago, I began my journey of exploring the possibility of homeschooling. I had no idea what I was getting into at the time. However, I immersed myself in reading books for months. My goal was to determine if this lifestyle would fit my background and (lack of) teaching skills. Obviously, I took the plunge several years ago to educate my kids at home, but it was a struggle. It was hard determining what to buy on a limited budget when you have a TON of options. I bought so many books and curriculum the first couple of years it would make your head spin. And, the planners, calendars, organizers — I wondered, how will I get through it all? As each year came to a close, I re-evaluated my options and wrote them down for the following school year as a guideline. Then, about 3 years ago, I realized certain subjects were lagging behind. It was time for me refocus, reschedule and reorganize my plan to include core subjects and then add in what was an absolute must. Based on my own experience and research, I found there are 4 main ways to avoid the stressful, cumbersome planning books and guides. And, some might suggest this is how to become a homeschool minimalist! Pour your research into those 3 important subjects before committing to any other subjects. Base your curriculum decisions on their learning styles, your time/effort, your circumstances, and of course, your budget. Then, add in the subjects that YOU deem as important and determine an allotted time and number of days per week within your schedule. What is Loop Scheduling you may ask? Basically, it’s rotating a chunk of subjects rather than teaching them on particular days. As an example, let’s say you add Spelling, Copywork, Grammar, and Science on a Loop rotation. Let’s pretend it’s Monday and your students have completed the core subjects (the 3 R’s) from 9 to 10 am. Now, you move onto Loop #1 from 10 to 10:30 am and you check off spelling, copywork, and science. For Tuesday, during Loop time #1, you would move onto spelling (the second spelling on the list), grammar, and hopefully copywork. Wednesday would begin foreign language, and you would start over with the first subject on the list. Hopefully, that makes sense! Did you notice I named it Loop #1? You can have more than one Loop rotation. Let’s say for Loop #1, you allotted 30 minutes. There are 30 more minutes in your daily school schedule so you add another loop. Let’s call it Loop #2 (creative, I know) and the list includes music theory, typing and geography. The process would be the same after your Loop #1 rotation (30 minutes) is over. This is a great option for busy and large families whose schedule changes daily or have little ones to interrupt. Let’s say I knock out music theory and typing in Loop #2 but the baby wakes up from her nap before I “finish” #2 rotation. I would then pick up on geography the next day and if time allows, go back to the beginning of the loop (which would be music theory). Some days I might make it through an entire loop, some days none at all. Either way works fine because you know it’s going to be covered the next day. When determining what subjects you should reserve for looping, consider the type of lessons you typically would not schedule on a daily basis. This way, if you skip one or two, you can be assured they will eventually get covered the next day. If you would like to dive more into this subject regarding Loop Scheduling, please consider reading a great resource called Teaching from Rest by Sarah MacKenzie. I highly recommend it! Review free curricula that require very little preparation on your part and not a lot of resources. For upper elementary and up, consider downloading books on a Kindle or ipad and utilizing online learning tools. Ambleside Online – includes all your subjects along with a detailed and simple schedule. It does require some thorough review, but its free and based on Charlotte Mason’s methods! Easy Peasy All in One Homeschool – We used this last year for Grammar. It’s free, minimal (lessons take about 20 minutes) and you can print a workbook that includes everyone here. 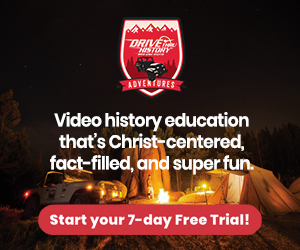 Discovery K12 – Online homeschool platform & curriculum for pre-k to 12th grade with 7 standard courses: Language Arts, Reading/Literature, Math, Science, History/Social Studies, Visual/Performing Arts, and Physical Education. Virtual Homeschool Group – Virtual Homeschool Group is 100% volunteer-run and are typically middle and high school age classes. They offer ‘at your own pace’ (AYOP) and live online courses for homeschool families for 12 years. Also, http://homeschoolteachers.com is not free but a great bargain for about $10-$12 a month if you get in on their specials. You can also join for free for 30 days using code LIMTRIAL. We are using this online option for writing, foreign language, and computer classes. Their course list continues to grow each month and currently have 350+ courses in all subjects. Check it out! Consider buying used curriculum to avoid killing your budget and/or if it’s not working well for your children or lifestyle, you’re not out a lot of $. Also, sign up for local homeschool group lists on Yahoo and Facebook where homeschool families advertise great prices on their unwanted and unused homeschool books and curricula. Don’t forget FREE and inexpensive PRINTABLES! You can print them yourself and only the pages you want. Invest in a binder to keep your printed materials organized and easy to find. Take advantage of online sales and freebies, but only if you need them. Don’t waste your time signing up for freebies or great sales just because they are…just that. Instead, write a list of what you need, and do a google search on freebies and inexpensive printables. My saving grace in the early years was buying mostly USED material (except for consumable workbooks) just in case it didn’t work out for my “students”. I was able to resell most of my materials either at the same price or at an insignificant reduced amount. Homeschool materials do hold their value. Also, printing out freebies and inexpensive printables helped cut the cost significantly on expensive workbooks. My kids learned grammar rules, copywork, creative storytelling, bible verses and more using freebies and cheap downloadable printouts. Incorporate teaching homemaking skills or chores on a daily basis. This teaches your children early on to be responsible and embrace hard work. Little ones can fold wash clothes, wash floors using a big towel, and put toys in the toy box. Middle age children 8 and up can clean counters, fold laundry and vacuum floors. Your middle school or high school child can learn the entire process of cooking a meal. Start with choosing a meal, write up a plan, buy groceries, and then execute the meal in the kitchen. It gives them independence and a sense of accomplishment. Don’t forget to talk about what’s a healthy meal and what’s not. Here is a post where I wrote about my kids taking over the cooking for an entire 6 days! Ask your husband to teach your upper elementary or middle school student. They can landscape the yard or change the oil. Show your lower elementary age son to rake leaves and take the garbage out. Based on their age level, choose the appropriate type of chores with this guideline. Another idea may be to walk around the house or yard to see potential homeschool projects. Or, if they are old enough, you can give them a task and ask them to find out instructions on their own using multiple resources like the library or online(with supervision, of course). Speaking of chores, this morning my daughter was playing with a couple of kids outside and looked out the window. I noticed she was showing them how to weed the flower bed. It looked spectacular when I came outside to see the results! She is not afraid of hard work because she started at a young age! Please note, it’s never too late to train them on chores as long as their still under your roof! What is Northwest Treasures? They stand for a young earth and global flood based solely in Scripture. Their classes reflect a biblical worldview with a mission to share the science of geology without reference to their own philosophy. In other words, their educational resources are biblical. Northwest Treasures offers online classes, fossil gifts, educational gifts, and curricula. They also offer physical courses, including the high school level Northwest Treasures Curriculum Project. If you have young children from PreK-3rd grade, you’ll want to check out Geology for “Little Eyes”. This is a six-part video series instructed by Patrick Nurre who helps you understand the evidence of dinosaur fossils that have been discovered all over the world including their habitat and how they went extinct. The best part is they also address where the bible talks about dinosaurs. Each lesson gives you access to worksheets along with their answers. Plus, you’ll find exams and answer keys. My son and I reviewed the video together and thought it was very well done. The instructor gave a brief timeline of how dinosaurs were discovered along with the errors made in our recent history. We also watched a short, 20-minute class called “Taking the Mystery out of Geology.” This is a short, 20-minute class that explains 13 terms to help understand the area of geology. It is recommended to watch this video before taking the online classes Dinosaurs and the Bible. My favorite part of these videos was the biblical perspective presented. As believers, it’s exciting to hear how creationism is confirmed in science and we are told inaccurate information with evolution. Here is a description of the 6 part series. Your instructor will prove that the evidence is all around us and the fossils tell a story and answer questions like where did they live and how they died. You’ll also learn what the bible says about these creatures. Go on a dinosaur adventure with Patrick Nurre as he uncovers the answers to all of your questions and much more! From history to the Ice Age, from soft tissue to fossils – and enough deceit and trickery to make a great who-done-it! Each lesson include worksheets and a final exam. If you are interested in learning more, check out the trailer HERE. The class is on sale right now for just $19.99. Normally $39.99, almost a 50% savings! To purchase a dinosaur fossil kit to go with this class, see below, or click here. For those who have a subscription to SchoolhouseTeachers.com, you can find their classes online as well.